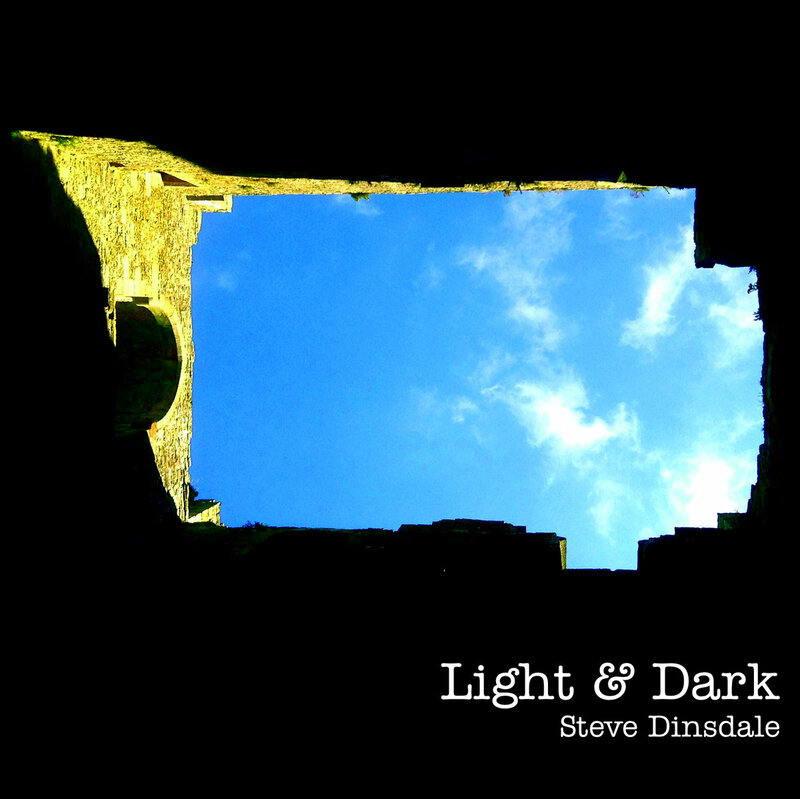 Light & Dark is Radio Massacre International member Steve Dinsdale's fifth solo studio album, and represents a continuation of the somewhat lighter (dare we say 'commercial'?) style of his solo music. The running order and length was designed for possible vinyl release, but when this proved impractical, the concise nature of the album still suggested itself as an advantage, and although more material was available Steve was keen to maintain a collection of pieces that could comfortably be listened to in one sitting. "I like an album that can be assimilated in one go; not so long as to have forgotten what the first track sounded like by the time the last one comes along" says Steve. The mood of the album is generally upbeat and positive, with bright textures and melodies suggesting a colourful and generally sunny outlook created by Steve's use of sequencers, drums and the classic keyboard sounds (Rhodes and Mellotron in particular) with which he has become associated. The almost funky 'Hit of Summer' is perhaps the least typical excursion, yet in many ways the most appealing; "to me it sounds like the sun's reflections dancing on the sea on a glorious day. Like all the pieces here it didn't start out as any grand plan it just ended up that way once I started overdubbing" Steve smiles, "and the lower end of the Rhodes keyboard does a surprisingly convincing impression of a Bass Guitar". 'Moonweed' is of course an affectionate nod to Tim Blake, whilst 'First Light' uses the authentic sound of the dawn chorus recorded in Skipton where the album was made...not just any old dawn chorus...these things are important. A spontaneous approach also brought out the doomy, dungeon-like textures of 'Dark Chambers', a piece which started off as a layered percussion meditation upon hearing some bad news about the possible future incarceration of an artist held in high esteem. Luckily this didn't transpire, but the piece remains as a stark and necessary contrast to the rest of the album, and indeed as the justification for its title. Book-ending the collection are two pieces recorded with lifelong friend and band-mate Gary Houghton on guitar: "He didn't know he was recording for my album when he visited, I didn't either, we were just trying out ideas. He brought the Gary Houghton effects arsenal for which he is justly famous, but rather less impressively left the power supply unit at home some fifty miles away. Instead I had to put him through my somewhat more basic effects pedal, but I like how this makes him sound less like Gary but at the same time unmistakably him".